Gerhard Schmitt is Professor of Information Architecture at ETH Zurich, Lead PI of the ETH Future Cities Responsive Cities Scenario, Founding Director of the Singapore-ETH Centre in Singapore, and ETH Zurich Senior Vice President for ETH Global. 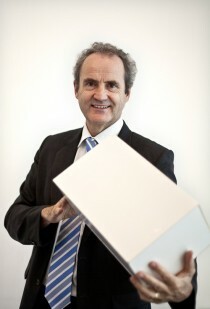 Gerhard Schmitt holds a Dipl.-Ing. and a Dr.-Ing. degree of the Technical University of Munich, TUM, and a Master of Architecture from the University of California, Berkeley. His research focuses on urban metabolism with the associated emissions, Smart Cities and linking Big Data with urban design, urban models, simulation and visualization. He and his team developed and taught the first Massive Open Online Courses on Future Cities and Liveable Cities with over 50’000 participants. From 1998-2008 he served as Vice President for Planning and Logistics and Member of the Board of ETH Zurich. He directed the development of ETH’s strategy and planning in cooperation with the 16 scientific departments. From 1984 to 1988 he conducted CAAD research and teaching at Carnegie Mellon University. He joined ETH Zürich in 1988. He was Visiting Professor at Harvard GSD, at the Katholieke Universiteit Leuven, the Technical University of Denmark and at the Technical University of Delft. From 2004-2007 he chaired the Visiting Committee of the Graduate School of Design at Harvard University. Gerhard Schmitt initiated and conceptualized the sustainable ETH Science City Campus in Zürich and received for this work the 2010 European Culture of Science award.